So we have an highly available Exchange environment with multi-tenantcy configured. This would seem a bit much wiht only ~20 employees, but we did this to get some hands-on experience with Exchange 2013 and 2016 with the multi-tenancy setup. We’ve been running multi-tenancy setups since exchange 2007 and it has had some major overhauls. 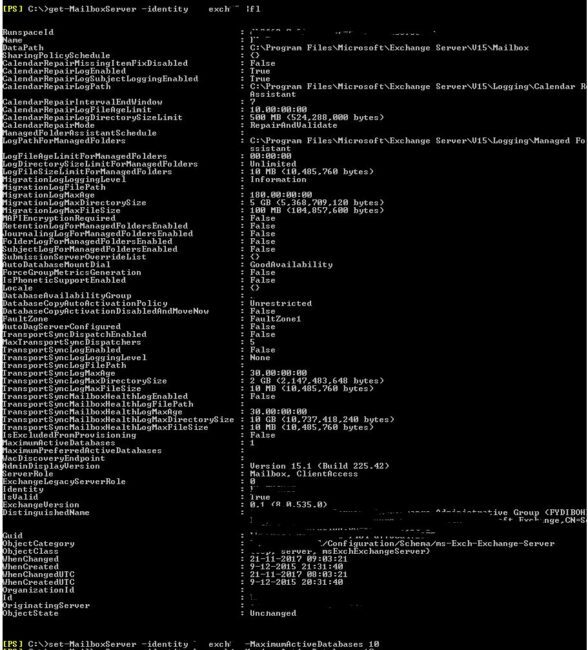 Exchange 2010 had a MS program HMC for which you needed to certify and I believe (the links are all dead now) it had something of 11 servers minimum with SQL servers for the GAL lists. Since 2013 this (thank god) has become much easier. database copy ‘MDB04’ on this server wasn’t able to mount because the number of mailbox database copies on this server exceeds the configured limit. 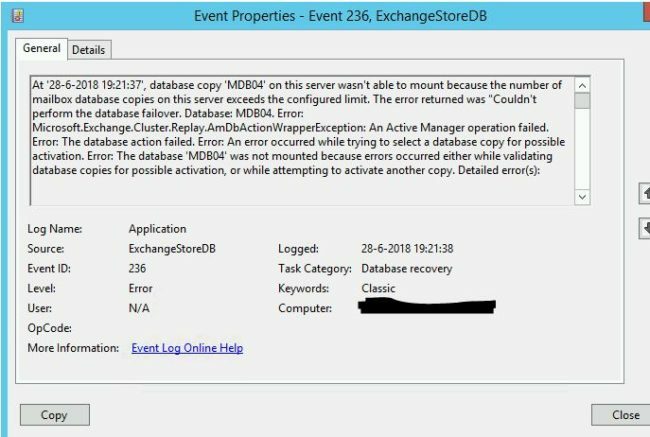 The error returned was “Couldn’t perform the database failover. First we thought we didn’t have loaded the correct license, but the ecp showed a enterprise license installed. fixed the problem for us.